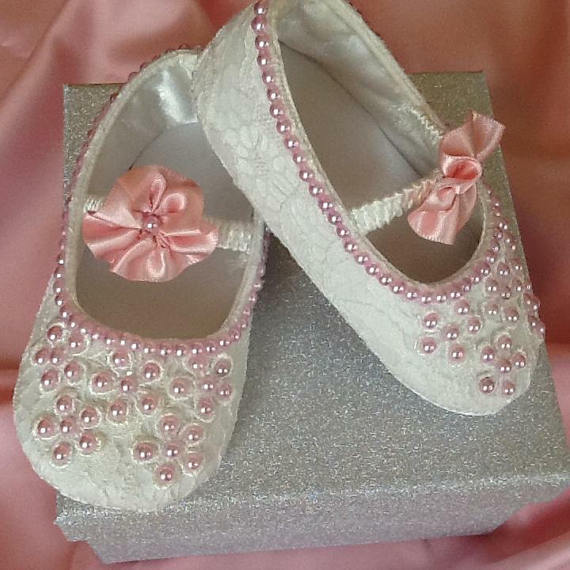 Home / Weddings / Wedding Clothing / Flower Girl Shoes / FLOWER GIRL BABY SHOES. 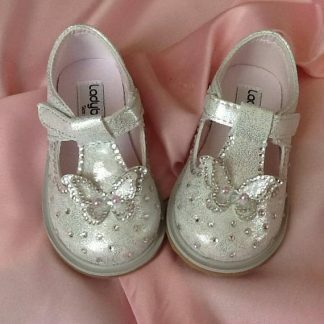 FLOWER GIRL SHOES SIZE 12-18 MONTHS. 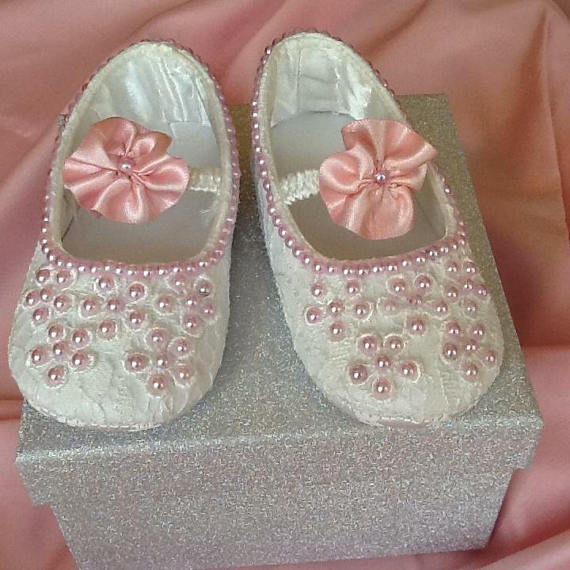 Baby girl ivory lace MONSOON shoes decorated with a pink satin flower and pink pearl beads. 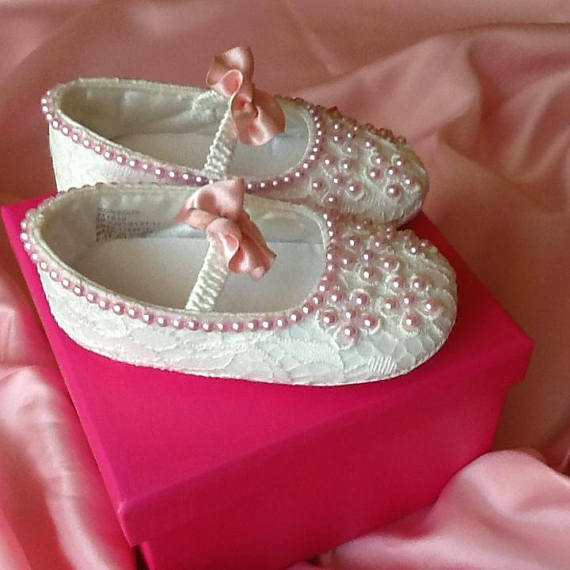 BEAUTIFULL IVORY COLOURED LACE SHOES BRAND MONSOON. 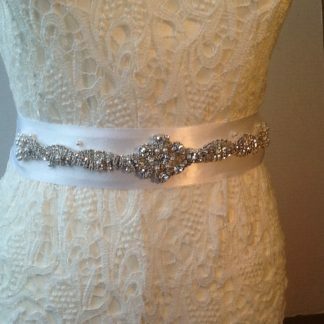 DECORATED WITH PINK PEARL BEADS AND SATIN RIBBON. 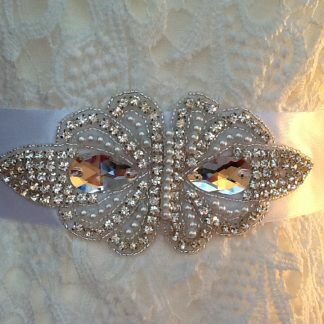 SIZE 12-18 MONTHS if you require exact measurements please ask.